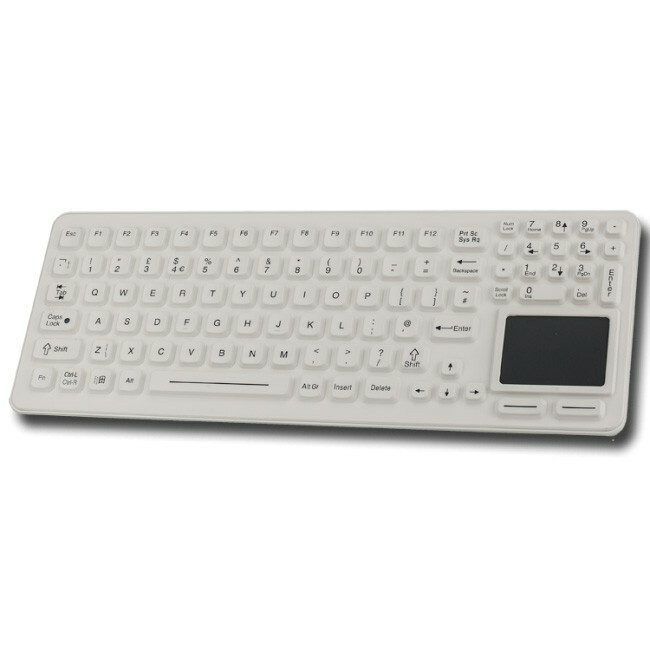 iKey’s SK-97-TPmedical keyboard provides users with all the functionality of a full-size keyboard and mouse in a slim, compact package. It is designed for infection control in today’s healthcare environment including Hospitals, Laboratories, Clinics, Dentists as well as for industrial applications. 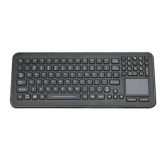 The fully sealed keyboard has an integrated touchpad and is compatible with all hospital and Dental approved disinfectants. 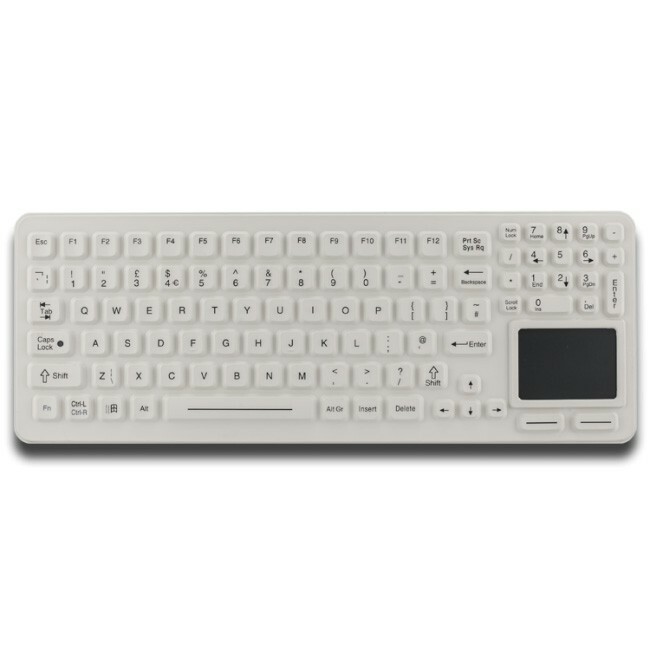 With higher-profile keys than the FL-series medical keyboards, the SK-97-TP has a more responsive and tactile feel. It features left and right-click buttons below the touchpad, adding convenience and functionality. The durable and easily cleanable SK-97-TP and is ideal for use in ORs, medical carts and industrial workstations. These are just some of the applications for the iKey SK-97-TP in various industries. The potential applications extend further than those shown above. 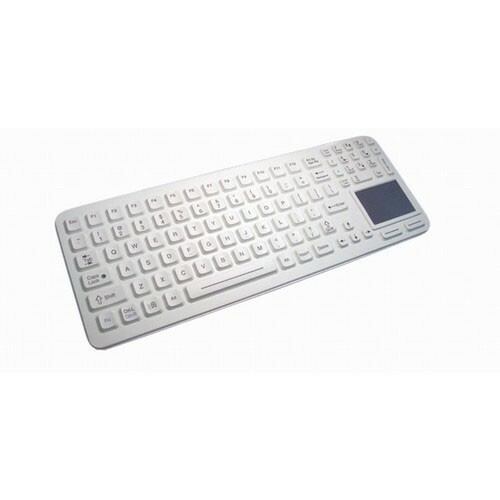 For further information about the iKey SK-97-TP Keyboard or to check if the product is suitable for you application, please contact us. To obtain service under this warranty, the warranty-eligible product, iKey SK-97-TP Keyboard, must be presented to FB Peripherals Limited in the UK.